We love cool old things. And while this may not be the oldest hockey relic we've come across, it's absolutely one of the coolest. 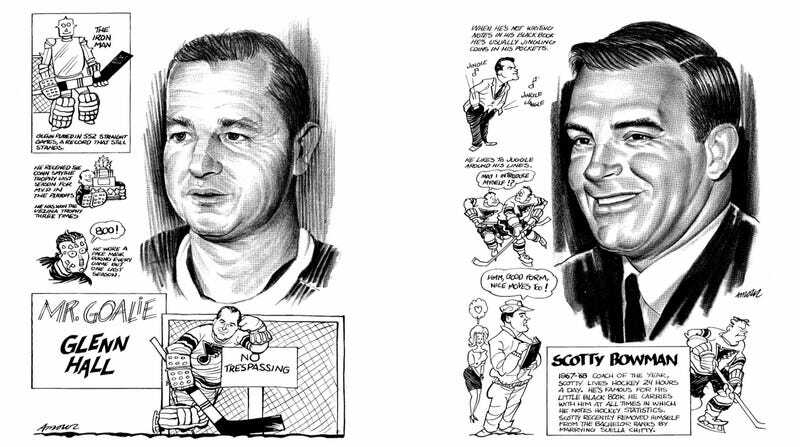 Reddit user KickapooPonies came across 29 pages of a St. Louis Blues media guide, featuring hand-drawn portraits and trivia for players, coaches, executives, and even the organist at the old St. Louis Arena. The info dates it to the 1969-70 season, the Blues' third year of existence. Those Blues would go on to first place in the West, but lose to the Bruins in the finals.